Edinburgh, the Capital city of Scotland is the ideal place to stay for sightseeing and shopping. 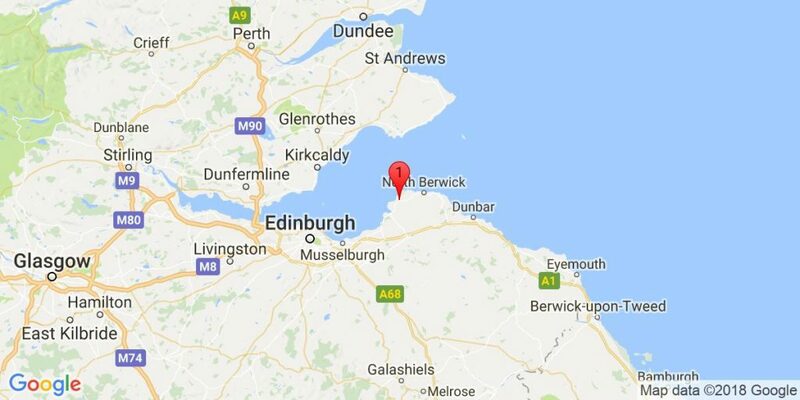 It is also a good base for golfers who wish to stay in the city and travel out to play golf in the many areas within easy reach such as North Berwick and Gullane. Alternatively there are many good accommodations in each area should the city stay not be required. 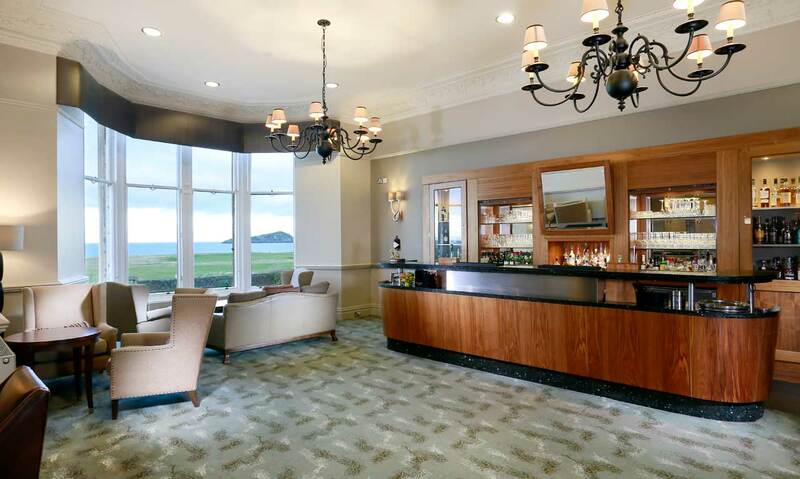 Picturesquely located at the heart of the East Lothian golfing-coast, The Marine Hotel overlooks the 16th hole of North Berwick’s championship links. 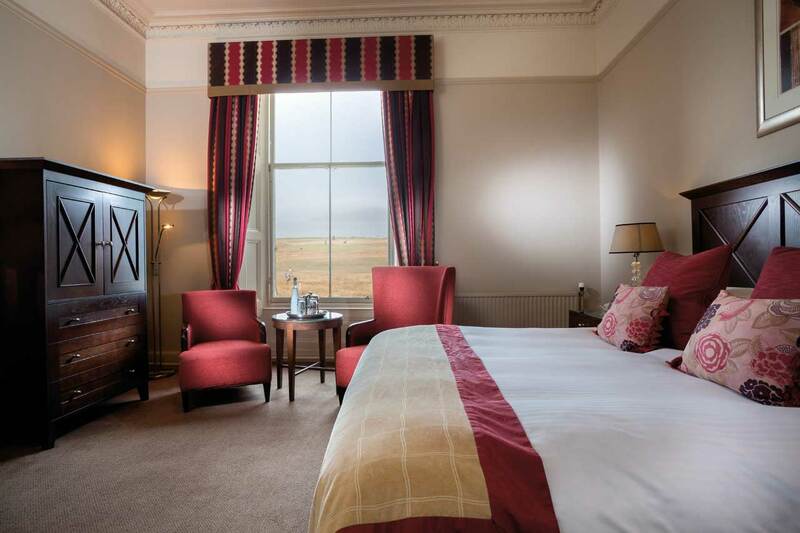 Standing in landscaped grounds in the harbour town and encompassing superb views of the breathtaking Firth of Forth, the Marine Hotel’s Victorian facade conceals a wealth of creature comforts and delights to be discovered. The Marine Hotel offers guests 83 well-appointed, individually decorated en-suite guestrooms, including six four-posters, five suites and four mini-suites. 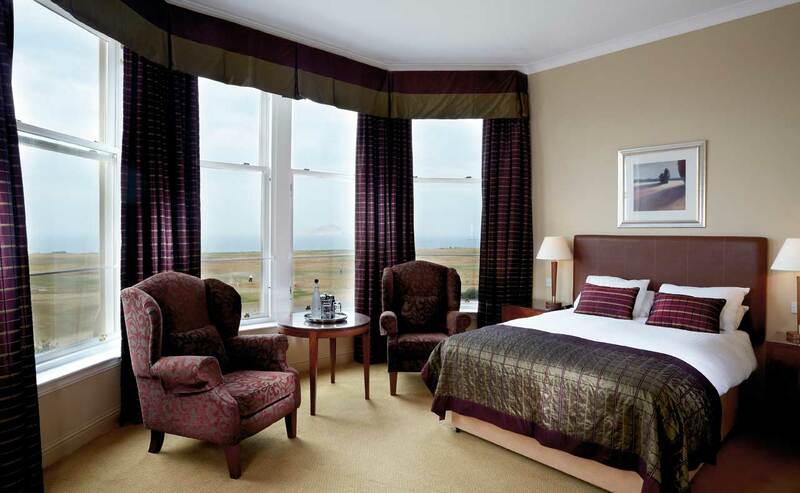 Each provides guests with a range of facilities and golf aficionados should opt for one of the rooms offering views over the sea and golf course. 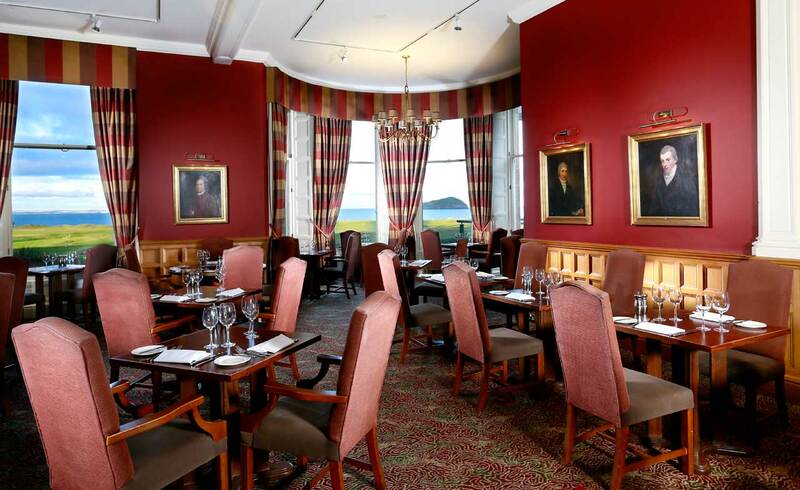 The Craigleith Restaurant is renowned for its superb Scottish and international menu, while the 19th Hole Bar is a favorite haunt of visitors and locals alike. For guests who enjoy relaxing after a vigorous day on the links, the well-equipped leisure centre with sauna, solarium and swimming pool is ideal, while the outdoor enthusiast can avail of the tennis courts or hone their putting skills on the putting green. 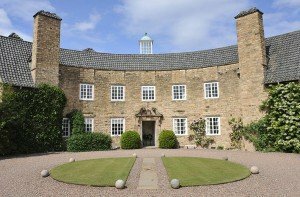 Perfect for the non-golfer or the golfer on a day’s rest, the numerous local attractions include medieval castle ruins; historic houses and the many charming villages nestled in the rolling Lammermuir Hills. Nestled in the shadow of historical Edinburgh Castle and just minutes walk from the city’s famous shopping thoroughfare Princes Street, the Sheraton Grand is situated in the heart of Edinburgh, one of Europe’s most historic, yet cosmopolitan cities. It is the perfect spot from which to explore the history of the medieval Old Town and the architectural interest of the Georgian New Town. 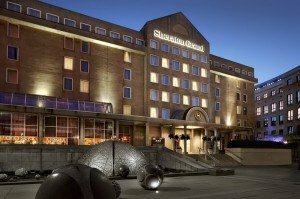 With spectacular views of Edinburgh Castle, three outstanding restaurants, including two award winning restaurants the Grill Room and Santini, and home to ‘One’ – Europe’s most advanced city spa – the Sheraton Grand is the perfect place to indulge your mind, body and spirit in luxurious 5-Star opulence. One Spa offers guests the ultimate in luxury with 11 multi-purpose treatment rooms, hydrotherapy room, 19 metre ozone friendly pool, state-of-the-art fitness studio and a carefully designed Thermal Suite with an impressive variety of holistic heat experiences including an Aroma Grotto, Rock Sauna, Bio Sauna, Tepidarium, Laconium and Hammam. Unique to One is the outdoor hydropool, a stainless steel pool cut into the rooftop of the building. Guests may also sample treatments that merge techniques and philosophies from the ancient cultures of China, Bali, India and Europe. The Channings Edinburgh Hotel is located off Queensferry road, approximately a 10 minute stroll from Edinburgh’s centre. History would have it that the Antarctic explorer Sir Ernest Shackleton used to live in this property. Nowadays the exact location of his abode would be where the hotel’s library is found. Guest bedrooms are all individually decorated in striking and elegant combinations of textured fabrics, providing a comfortable and relaxing base for your stay. Rooms all include the modern amenities that one could expect from a hotel of its class, including en-suite bathroom and Internet access. The hotel has facilities for conferencing and banqueting, a professional restaurant team and a sophisticated wine bar. 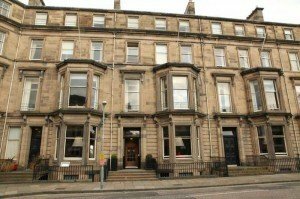 The Channings Hotel is the perfect choice for those seeking a little luxury in Edinburgh. 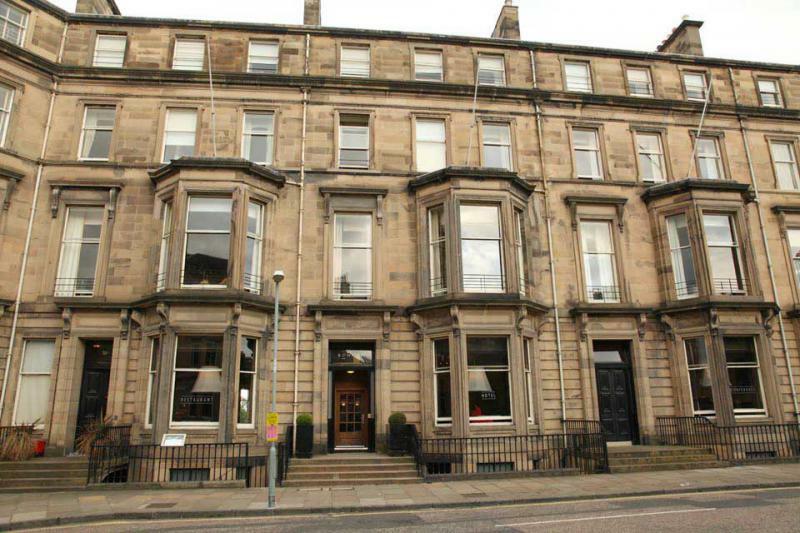 Small and discreet, this elegant 5-star hotel has a great setting in Edinburgh’s New Town. With a personal butler service, there is also fine dining, free parking and free internet. 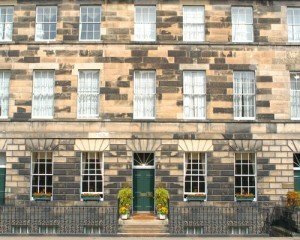 The Howard is made up of 3 beautiful Georgian houses with luxurious rooms. Each room features a luxury private bathroom with Penhaligons toiletries, and an interactive flat-screen TV. A team of professional butlers is on hand to assist guests. The long list of services provided includes unpacking and packing luggage, concierge services and personal shopping. Atholl restaurant seats only 14 people for exclusive fine dining. Guests can enjoy breakfast in bed, Afternoon Tea or in-room dining served by the private butler. Room service is available 24/7. Guests at The Howard are less than 5 minutes’ walk from 6 art galleries. Shops and restaurants are found only a few minutes further away on foot. 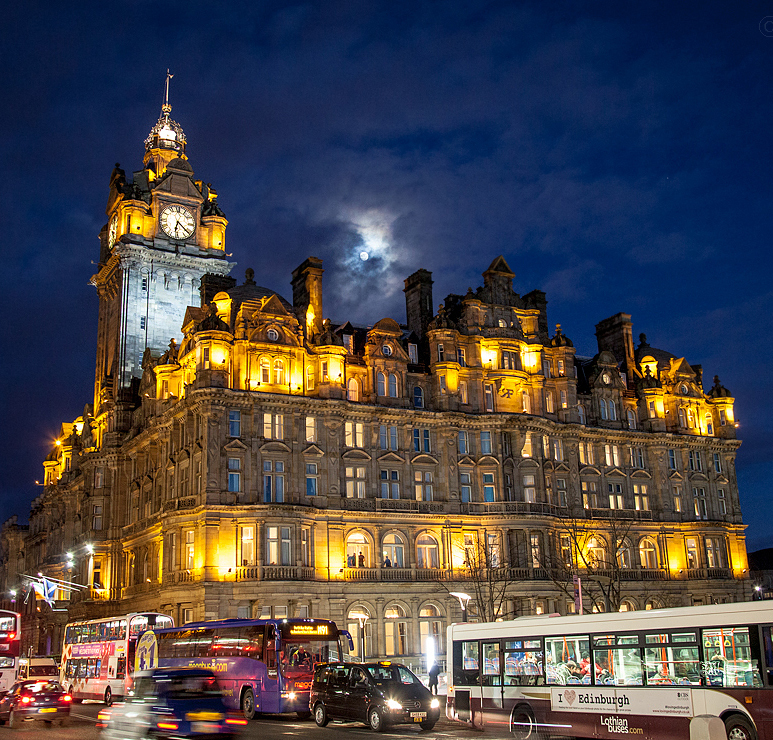 The grandeur of Scotland’s capital city is epitomized by one of its most famous hotels – The Caledonian. Built at the turn of the century to be one of the greatest hotels in the land, it still retains the elegance, style and personal service which were the hallmarks of that era. 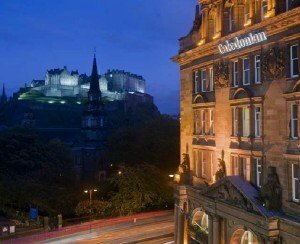 Situated at the very heart of the city, in the shadow of Edinburgh Castle, the Caledonian provides the finest possible base from which to explore Scotland’s capital. The shops of Princes Street are on the doorstep, with places of interest nearby. The city’s business and financial district and Edinburgh’s International Conference Centre are all within a five-minute walk from the hotel. 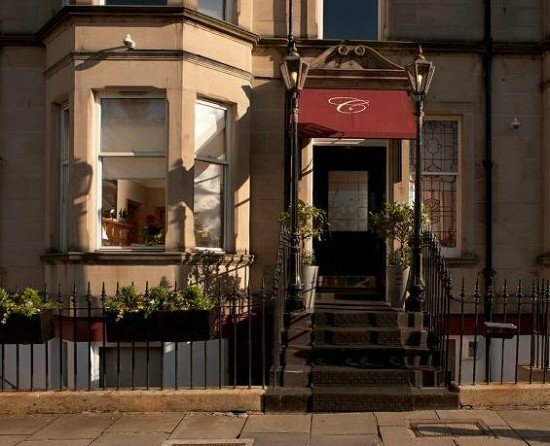 Scottish and French classical cuisine at the gourmet Pompadour Restaurant. Brasserie style dining in Carriages Restaurant. Henry J. Bean’s American Bar and Diner for a lively, relaxed environment. 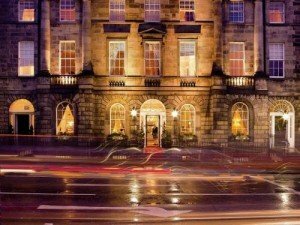 Rocco Forte Hotels’ Balmoral is a unique and contemporary luxury five-star property in the very heart of Edinburgh. While many Edinburgh hotels claim to have Edinburgh’s landmarks on their doorstep, few can say their doorstep is a landmark. 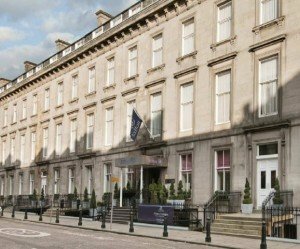 Located on Princes Street, in Edinburgh’s main shopping area and next to Waverley Station, The Balmoral is close to the leading luxury department stores and within walking distance of many Edinburgh attractions. 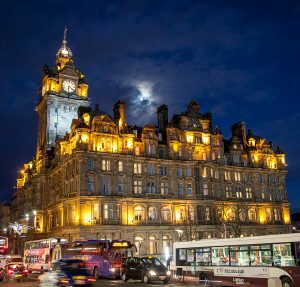 The Balmoral offers 188 opulent suites and stylish rooms, many with views towards Edinburgh Castle and the Old Town. The Bonham Hotel is a particularly Stylish Property Set In The Traditional Facade Of Edinburgh Houses. The Hotel Overlooks An Attractive Town Square And Gardens. 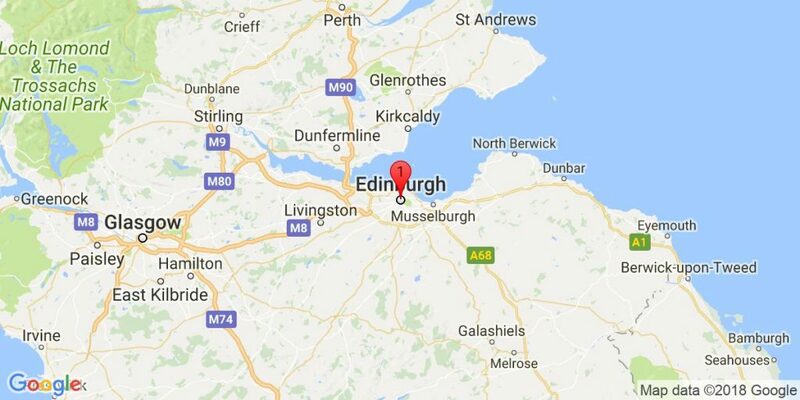 At The Back Of The Property The Top Floor Rooms Have A Spectacular View Over Edinburgh Suburbs And The Forth River Estuary. All Rooms Are Decorated Individually With Contemporary Furnishings And Paintings. The Interior Decoration Is Taken From Local Craftsmen And The Pictures Come From A Local Art Center. All The Bathrooms Have Marble Surfaces And Power Showers. Overlooking the park on Charlotte Square, Scotland’s equivalent to Downing Street, the award-winning Principal Hotel sits right in the heart of Edinburgh. All rooms are air-conditioned. As a guest of The Principal Hotel all hotel leisure facilities are free of charge. The hotel has a swimming pool, gymnasium, sauna and steam room. 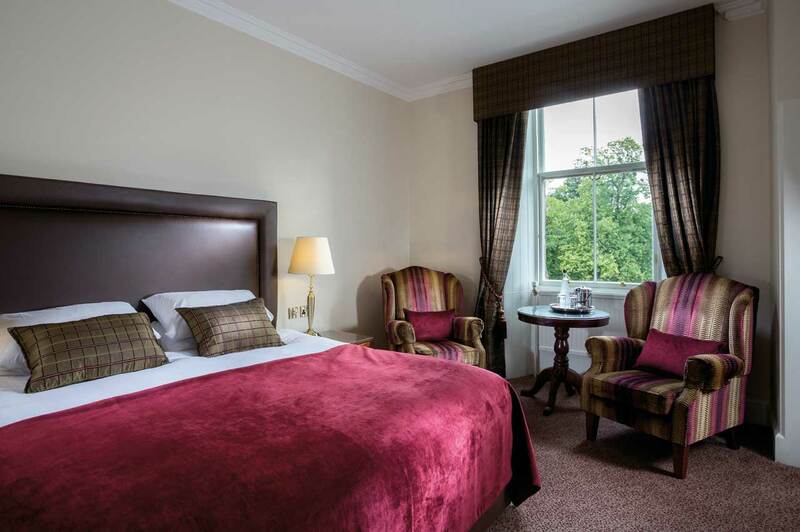 One of Scotland’s finest golf hotels, Greywalls, overlooks the renowned fairways of Muirfield Golf Links. Following the 2nd World War, the first hotel guests were welcomed to Greywalls in 1948. Exuding charm and warm hospitality, this symbol of Edwardian graciousness makes guests feel like time-honoured family friends. One of the joys of Greywalls is the meticulously planned garden. During the summer, the scents of roses and lavender can prove as intoxicating as fine wines. 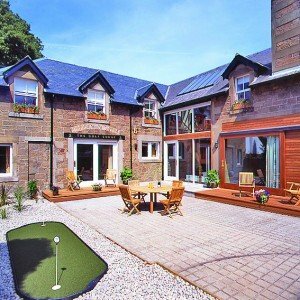 With holly hedges dividing the garden into secret enclaves and the long evenings of a Scottish summer, even the weariest golfer is beguiled by its charms and it proves the perfect place to reflect upon and look forward to a day’s golf. Each of the 22 period-styled, comfortable en-suite bedrooms are individually furnished and all of different shapes and sizes. Downstairs, guests may enjoy the tranquillity of the panelled library, entertain themselves by the grand piano or take a well-earned snooze in the sun-filled Edwardian tearoom. With respect to cuisine at Greywalls, whether it’s a hearty breakfast, a light lunch or a gourmet meal, you will understand why the cuisine is widely acclaimed. While it’s true that as a golfing base, Greywalls is second to none, the same can be said of the surrounding countryside. 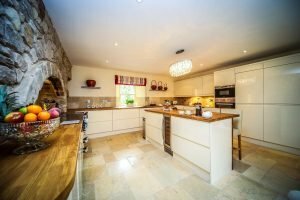 Long, deserted sandy beaches, nature reserves, ancient castles, small villages and market towns all play their part in making Greywalls a special place. It has been special for the likes of Palmer, Nicklaus, Trevino and Norman in the past and you too will love it. 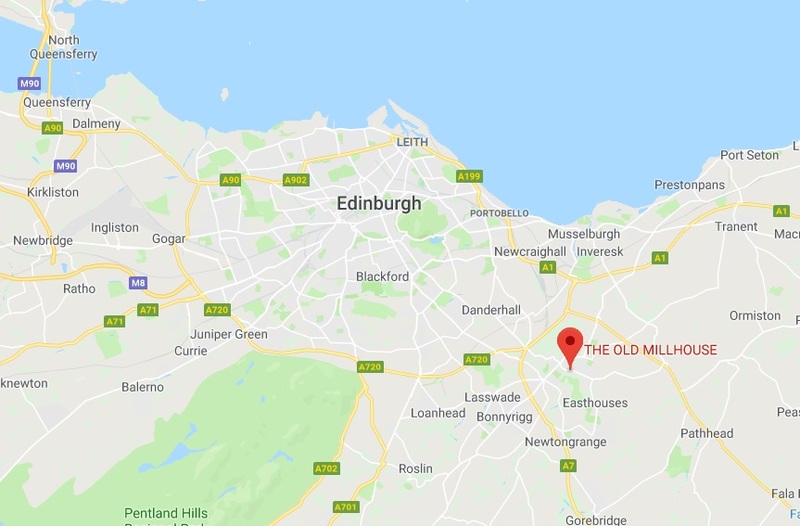 Situated 8 miles from the city of Edinburgh, and just 20 minutes drive from Edinburgh Airport, The Old Millhouse is set on the banks of the River Esk, among 3.5 acres of private gardens. 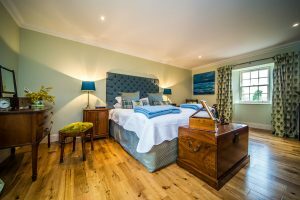 Sleeping ten people in five luxurious bedrooms, each with an en suite bathroom, The Old Millhouse can be hired on an exclusive use basis for weekends or by the week. 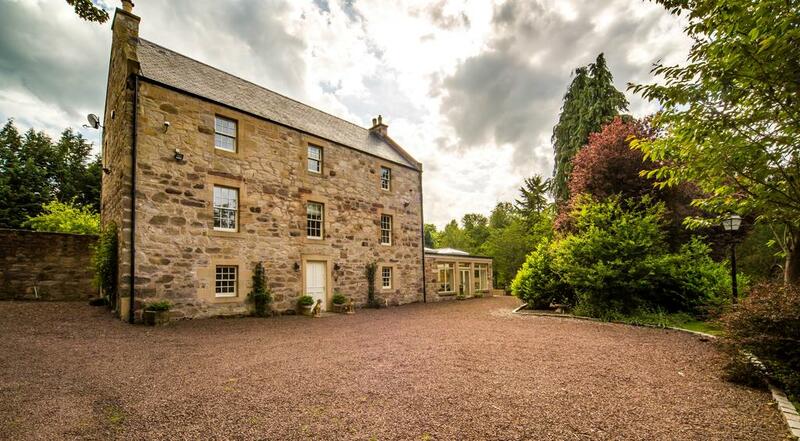 Dating from 1703, the luxury country house makes the perfect base for visiting golfers keen to experience the unrivalled range of fine courses in and around Edinburgh and Scotland’s east coast. With spacious and supremely comfortable living areas, including an elegant first floor drawing room, cosy snug, and airy orangery for dining and enjoying views of the glorious gardens, this is a house for relaxing after a fantastic day’s golf, socialising with your party and simply enjoying the company of friends and family. Five sumptuous en suite bedrooms, all with the flexibility of king size or twin beds, ensure the perfect night’s sleep after a delicious dinner (a private cook or grocery delivery can be arranged) before exploring the next day’s golf course. The gardens at The Old Millhouse are delightful, with rolling lawns and river frontage and guests also have use of a new swim spa. 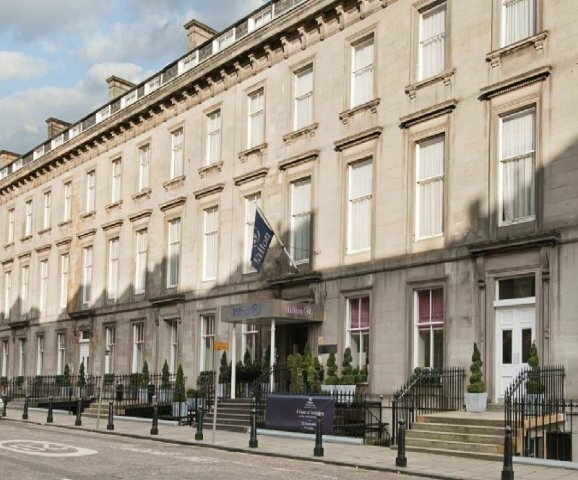 The Hilton Grosvenor Edinburgh is located in the heart of Edinburgh’s West End, minutes from the city’s main attractions, the Hilton Edinburgh Grosvenor hotel offers 189 bedrooms with conference facilities for up to 500 guests. Minutes from Haymarket railway station and easy access to a range of outdoor activities add to the appeal of this four star hotel. North Berwick Golf Lodge, a former coaching house, situated in the heart of East Lothian. 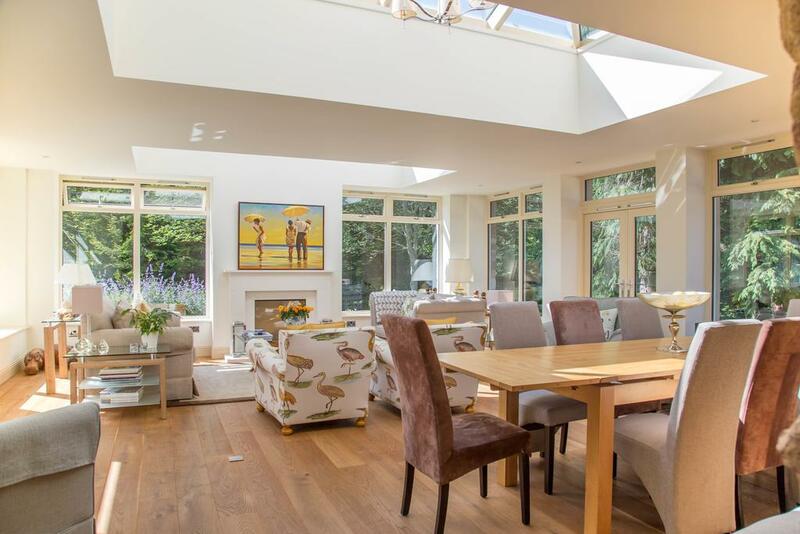 Having Undergone extensive refurbishment, the lodge offers exclusive luxury golf accommodation to the highest standard for parties of 8 – 12 people. Located on Fidra Road, North Berwick Golf Lodge is the ideal base for golfers wishing to sample some of Scotland’s finest courses. 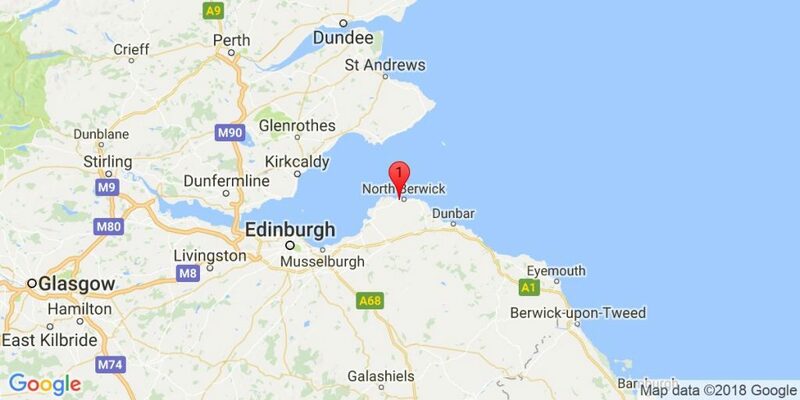 North Berwick west links is a 5 minute walk from the lodge & Muirfield – host to the British Open Championship – is only a 5 minute drive away. 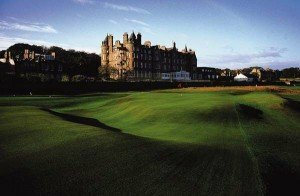 Indeed the choice is endless with some further 20 courses situated within 20 minutes drive of the lodge including Gullane, Dunbar, Luffness & Archerfield.